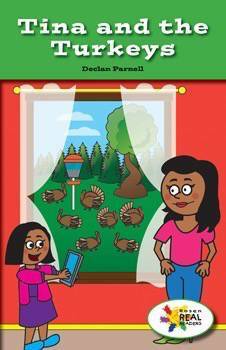 The bright illustrations and domain-specific vocabulary will help readers follow along as Tina discovers turkeys in her backyard. She uses technology to research turkeys and learn something new. She even takes some photos. This fiction title is paired with the nonfiction title All About Turkeys.